Today we're releasing a features we've been waiting eagerly for you to see. 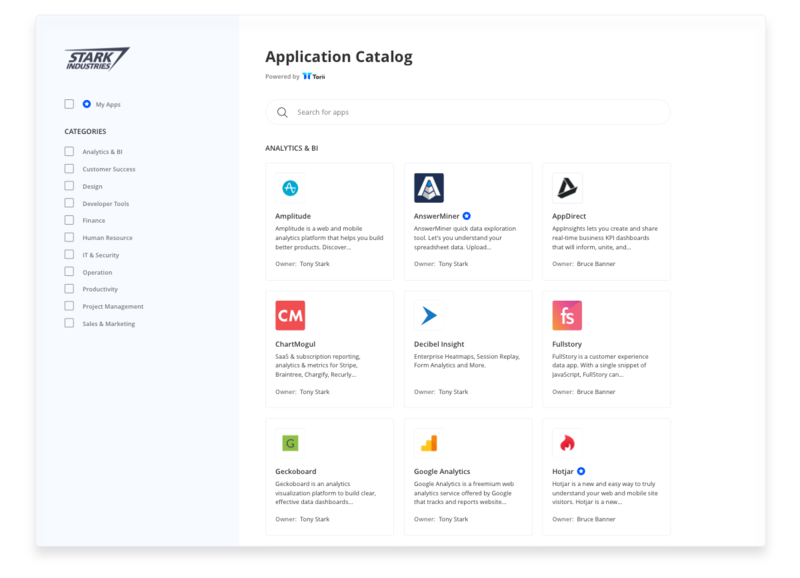 Say hello to your company's new Application Catalog! Until today, Torii administrators could see exactly what SaaS products are being used throughout their organization. This leads to better understanding of the software in use, improves workflows, and allows to manage all of the apps from a single place. Now it's time to share this with all of the employees. The Application Catalog is a searchable portfolio of all the software used in your organization. You decide which applications should show and who has access to the catalog. We've created the application catalog on the premise that transparency of software tools will lead to better efficiency, knowledge sharing and easier access to the power tools that runs your organization. Remove application duplication. 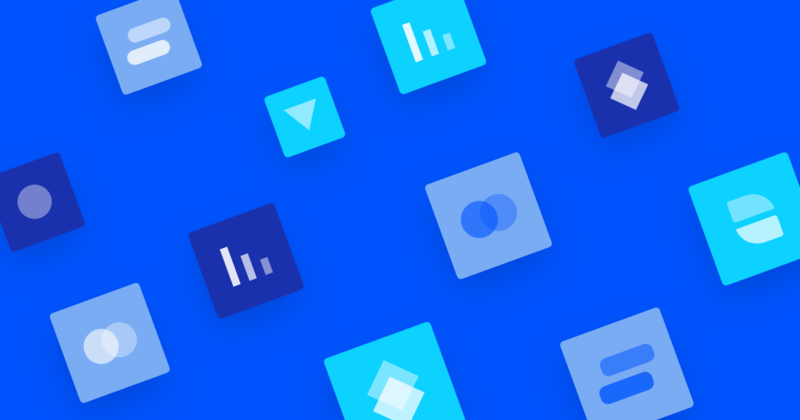 When employees have access to the entire applications list, they can choose the best tools without introducing duplicate applications or duplicate accounts in the same application. Identify owner. Who's in charge of which application? Application owners are listed next to each application and are more reachable to share their knowledge and take actions. Increase utilization and adoption. Instead of rapidly introducing more and more applications, leverage the ones you have better. With transparency into all applications, employees can easily find and get access to the existing and approved solutions. Head over to your Application Catalog settings page and enable it to all of your employees. One simple click to unleash the power of your applications. The feature is available today to all accounts.